Animal Behavior Internships and case shadowing are for credentialed academics and professionals only (see Eligibility). Applied Experience provides students of animal behavior an opportunity to observe dog, cat and other animal cases under the supervision of a Certified Applied Animal Behaviorist (CAAB). A student may shadow cases on a limited case-by-case basis, or as an internship for certification. An internship helps prepare a candidate to perform independently and professionally in the field of applied animal behavior. The length of an internship and the number of cases observed varies among candidates. To apply, submit a Contact Sheet, Consent Form, Continuing Education Form, and CV. What to expect on a Case-by-Case basis: Each case is ~1-3 hours. The observer is given a follow-up session to ask questions concerning each case. The observer may take notes, but not record the name of the client or any other personal information. No videotaping is allowed. Observers do not offer advice to clients under any conditions. Interaction with the animals or clients, is by request of Dr. Goldman during the consult based on the training and experience. Working with the animals is permitted and supervised as conditions permit. What to expect as an Intern (monthly plan): Direct observation of cases is encouraged during a quarter (three consecutive months) of at least 10 or more cases. Observers that show competence after the initial training period, may be eligible to interview clients and work with the pets under direct supervision. The individual expressly assumes all risk of personal injury that may be sustained by the individual during a session. Working with dog, cat, and other animals' behavior problems can be dangerous. Cari B. Cannon, Ph.D. is an award winning Professor of Psychology at Santiago Canyon College. She received her B.A. in Psychology from UCLA and her M.S. and Ph.D. in Experimental Psychology (Animal Learning) from Washington State University. She completed her post-doctoral fellowship in the Learning and Adaptive Behavior Laboratory at Duke University. Dr. Cannon has worked with a diverse range of species including dogs, cats, rats, mice, pigeons, gerbils, and parakeets. 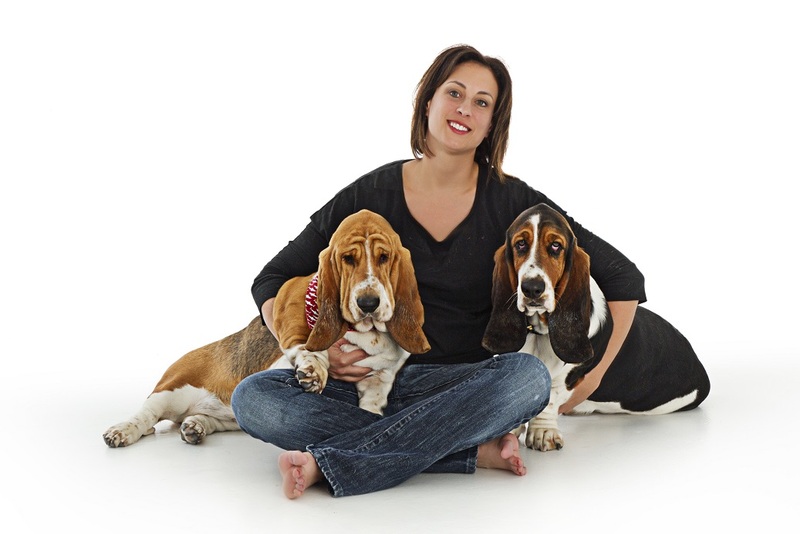 She loves her two Basset Hounds with whom she competed in AKC Rally, Obedience, and Conformation events. Her free time is spent fundraising for local Basset Hound rescues, and writing a dog behavior column for the Tally Ho Magazine. Janet H. Cutler, Ph.D. owns and operates Landmark Behaviour in Ontario Canada, consulting with pet owners to help them improve their relationship with their pets. She also conducts research on puppy socialization and its effects on behavior later in life. She received her M.Sc. and Ph.D. at the University of Guelph, and then a Certified Professional Dog Training certification (CPDT-KA). 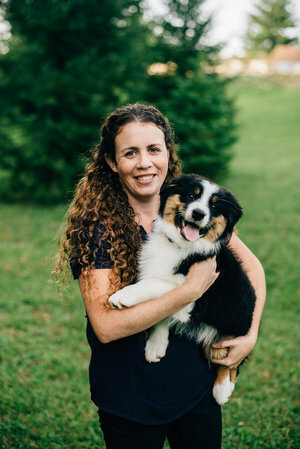 When not at work, Dr. Cutler is at home with her family, including her husband, two young daughters and Australian Shepherd puppy. She loves to travel, scuba dive, and have dance parties making waffles.